Brittany Kay: What is Sing for Your Supper? Scott Garland: SFYS is a monthly cold read series held at the Storefront Theatre, in which new writers submit incomplete, unpublished works that are then read by first-come-first-served performers who show up on the night. They get the script an hour beforehand and we then perform them on the Storefront stage that night. BK: How do the scripts get chosen for that night? SG: For the month prior to the night, I send out a call for scripts on social media and anyone who will hear me: We need scripts, 12 pages max to be read. They send them to me at our email address singforyoursupper.sf@gmail.com. I set a deadline, which is usually the Friday before the event, and I read everything that is submitted to us – that’s our promise. We will always read every script and then we whittle it down to about 5 or 6 scripts and that’s what gets presented. BK: How many scripts would you say you get in a month of submissions? SG: We’re averaging about 10 incomplete scripts every month. BK: Where did this event first begin? SG: Well this is actually a tradition that started with Red One Theatre a long time ago and it was done in a few pubs. It started with Ben Blais, Brenhan McKibbon and Tyrone Savage. That was less of a show and more of people getting together with scripts and reading them. It’s had various versions and then finally about 3 years ago when Red One Theatre occupied what is now the Storefront Theatre, they wanted to bring it back. It’s changed hands a couple of times. Danny Pagett hosted it for a while, then Ben Blais and Brenhan McKibbon. I had just started going because I was performing in Rarely Pure’s production of As You Like It with Ben Blais at the Storefront. He and I got along and he liked my cold reads so he asked if I’d be interested in organizing it or taking it on. I said, “You betcha Ben,” and so I did. BK: What was your take on the night? How did you change or tweak it to make SFYS what it is today? SG: I started creating a bit of a variety night out of it. SFYS has become more of an open mic night for actors. Actors don’t get a lot of chances to do cold reads of new work. This is an opportunity for people to get together with no stress, no pressure, to just mess around with some text and their craft and also for writers to possibly experiment with their stuff. In the spirit of trying to give it a little flourish, I started bringing people in. Kat Letwin, who’s a very talented performer, a wonderful comedian and a great sketch writer in her own right, covered for me for a month while I was unavailable. She’s a first-class performer so, unsurprisingly, she did very well and so I said, “What if you stuck around and we co-hosted it together?” She actually just celebrated her 2-year anniversary co-hosting and we’ve been really happy to keep her. We’ve also been very fortunate to have a local magician, Leigh Beadon, who actually premiered some magic at an earlier rendition of SFYS. He’s our halfway point at intermission. He’ll try out some feats of mentalism on the crowd. They’re always consistently mind-blowing. They make you believe. They really do. BK: Why is it so important for the Toronto theatre community to have an event like this? SG: One of the metaphors I’ve kind of used for SFYS is that it’s a bit of an elevator lobby to the indie theatre scene. We get people from all areas of the community; people who are both indoctrinated in the community or have never been to the Storefront, or people who know nothing about theatre and just show up. It’s a hub. It’s really a crossover space where members of the community come together and create art together. For me, it’s a seed-planting and grass-nourishing event. It’s free, no one’s getting paid. All are welcome. It’s free to submit. It’s a pretty equal opportunity event because it’s first-come-first-served for readers. We do try to ensure that new readers get first priority. The best way new and interesting art can happen is if you get as many different people in a room together, creating together. It’s an opportunity for writers, actors and the un-indoctrinated to kind of experiment with the theatre community in a low stakes environment. It’s also a dramaturgical tool for writers, which can be invaluable. You have a room full of artists with a stack of scripts and a tickle trunk full of various props and costume pieces, so let’s make some work. BK: This is quite the meet and greet, a place where people can connect. SG: Yeah, exactly. 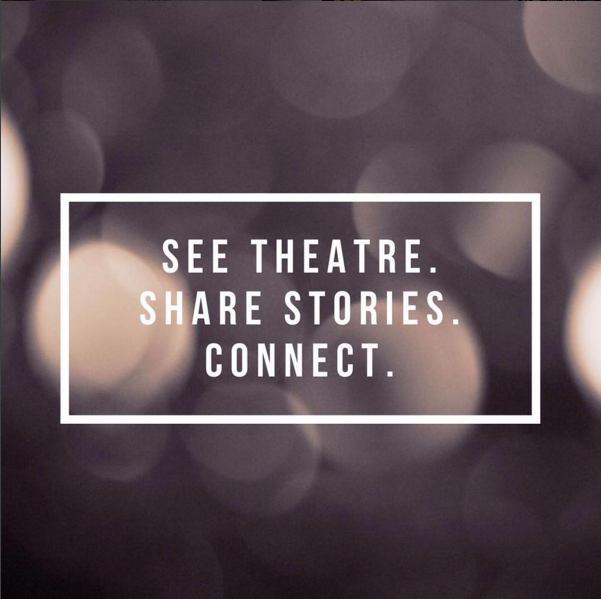 Part of what we do for SFYS is that if you have any projects, workshops, shows, classes or auditions coming up that you want to spread the word on, you get 30 seconds to say your piece. BK: What’s the turn out usually like? SG: We never have less than 30 people. It’s cabaret style so people can come and go. BK: Why are you leaving? SG: Because I’m just not that good at it. No. No. I kid. I kid. I’m very proud of what I have done and what the event has become under my time, but I feel in order for the event to grow beyond what it currently is, it deserves fresh eyes and a new artist with a greater reach in terms of the community. Cameron Wyllie who is a very funny guy from the comedy community, is taking over my hosting duties. He is a sketch writer and performer and he produced Toronto Sketch Fest earlier this year. I feel he has much more experience producing events than I do, so I feel the event will be in very good hands. Marissa Heintzman is taking over most of the administrative duties. She has her Masters from the University of Glasgow and has expressed much more interest in administrative handling and has actually written a thesis on the effects of modern drama and modern theatrical writing on the current generation. I feel that she will bring so much insight in terms of the sociological implications that an event like SFYS can provide to a community. Kat Letwin is staying on board. She has been, and continues to be, an irreplaceable part of SFYS. BK: What do you hope the future is for this event? SG: SFYS under my guidance has been an equal opportunity for female readers. One of the strongest causes I am passionate about is equality for female writers and actresses’ voices on stage. I’m a big fan of HERstory Counts, who actually previewed at SFYS last year. My biggest failing has been in outreach and diversity of communities. Art benefits from diversity. The event is only 3 years old and hopefully this will reach into as many communities as it can. SFYS can introduce people from various communities to each other, if nothing else, to foster greater community building. SG: It’s truly a platform, it’s a stage, it says, “Come one, come all.” I’m hoping more groups will approach SFYS looking for partnership on certain projects. That would be nice. Again there’s no money or funding involved in SFYS. The only real currency in this event is each other, the talents we have and the work we make. I’m hoping that an artistic bunz trading zone can happen at SFYS. BK: Anything else we need to know about SFYS? SG: It’s the first Monday of every month. Really come one, come all. If you’re reader sign up starts at 7pm, but some people have been showing up at 6:30pm. I will also say that I’m consistently overwhelmed by the talent we have at this event. There’s something admirable in people trying something for the first time and it working out spectacularly. That truly is the virtue of live theatre. The amazement of a cold read is that if it happens once, even if the script goes on to publication, you really encountered the spark of something truly new and wonderful. BK: 3 words that describe SFYS?